Windows SharePoint Services is a component of Microsoft Windows Server 2003 Downloadable at no additional charge. Microsoft recently release Microsoft® Windows® SharePoint® Services 3.0 is technology of Windows Server® which offers an integrated portfolio of collaboration and communication services. Collaboration: Help keep teams connected and productive by providing easy access to the people, documents, and information users need to make more well-informed decisions within their jobs. Windows SharePoint products and technologies include collaboration and community, document life cycle capabilities, alters, task notifications, Really Simple Syndication (RSS), the basic Web-based user interface and navigation. 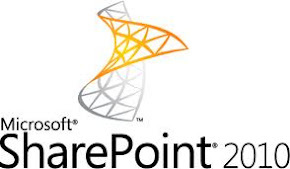 Portal: The portal components of Microsoft Office SharePoint Server 2007 include features that are especially useful for designing, deploying, and managing enterprise intranet portals, corporate Internet presence Web sites, and divisional portal sites. Search: The search component has been significantly enhanced in this release. The new features provide a consistent and familiar search experience, increased relevance of search results, and new functionalities along with improved scalability, manageability, and extensibility. Enterprise Content Management: Windows SharePoint Services provides core document management functionality: major and minor versioning, check-in/check-out document locking, rich descriptive metadata, workflow, content type–based policies, auditing, and role-based-access controls at the document library, folder, and individual document levels. Office SharePoint Server 2007 builds on these capabilities to deliver enhanced authoring, business document processing, Web content management and publishing, records management, policy management, and support for multilingual publishing. Forms Driven Business Process: Streamline forms-driven business processes with easy-to-use, intelligent, XML-based electronic forms that integrate smoothly with existing systems. This security-enhanced, client/server platform provides rapid-solution creation and deployment, centralizes form management and maintenance, and helps to extend business processes to customers, partners, and suppliers.